Abu Dhabi: A giant infographic laid out on the floor of an office at Zayed Sports City (ZSC) bears colourful and powerful testimony to the Abu Dhabi venue’s myriad successes over the past five years. Director of marketing Maria Gedeon, the architect of the infographic, and general manager Barry Bremner met with me recently to reflect on their notable achievements, which include adding 24 sporting activities since April 2010 to make a total of 30. Since being opened in 1980 to fulfil the UAE’s founder and late president Shaikh Zayed Bin Sultan Al Nahyan’s desire to create a venue that reflected the country’s passion for sport and to nurture sporting success, scores of international stars and local heroes have graced the ZSC. It’s one of Abu Dhabi’s oldest and most iconic buildings and is pictured on the UAE’s 200 dirham note, the main football stadium being likened to the Coliseum by Bremner. Yet despite the complex’s proud past, Bremner and his staff are relentlessly forward-thinking and never bask in the afterglow of former glories. Proof of this perennial improvement is witnessed in what Bremner refers to as the ‘staggering’ development of the ZSC, which encompasses a 43,000-seater football stadium, a state-of-the-art tennis venue and a host of other eminent facilities such as an Olympic standard ice rink and a world-class bowling centre. “We achieved our five-year strategy in two years,” Bremner says, proudly. Since the masterplan was launched, the venue has enjoyed a 228 per cent growth in footfall, welcoming over five million visitors in that time. Meanwhile, pitch capacity has more than doubled, while a number of new facilities have opened, including a softball pitch, a billiards hall, the Emirates Aikido Centre, a paintball park and the IPIC Arena. 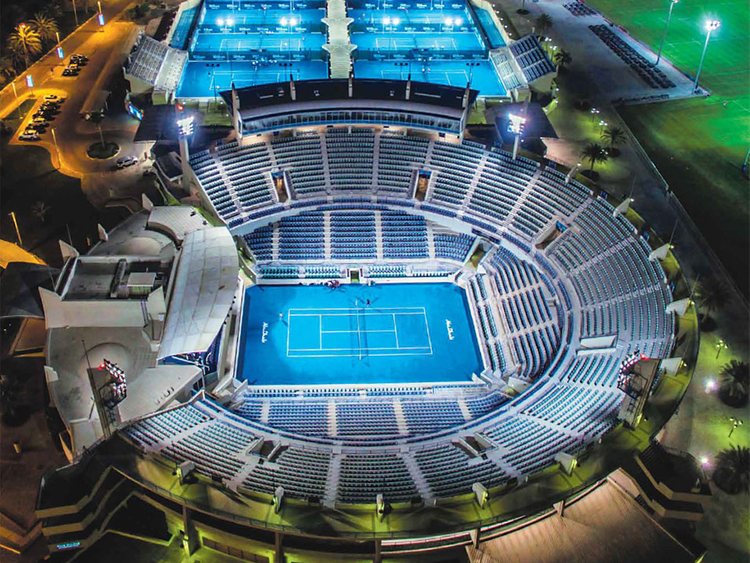 The leading regional centre of sport — it’s won the Sports Industry Award for Best Sport and Recreation Venue in the Middle East Award for the past three years — has also proved its worth internationally. 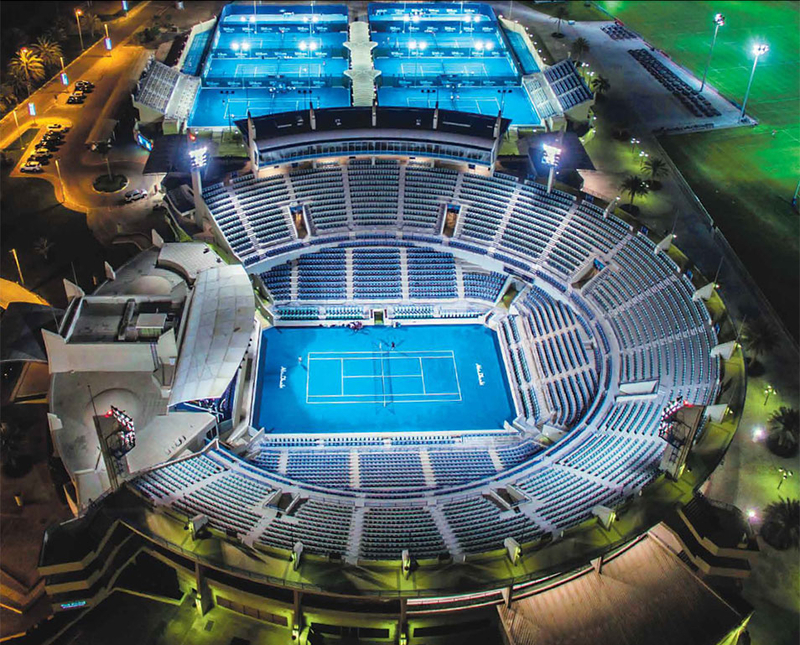 It has hosted the season-opening Mubadala World Tennis Championship since 2009 and will stage the Fifa Club World Cup in 2017 and 2018 after previously holding the event in 2009 and 2010, for instance. 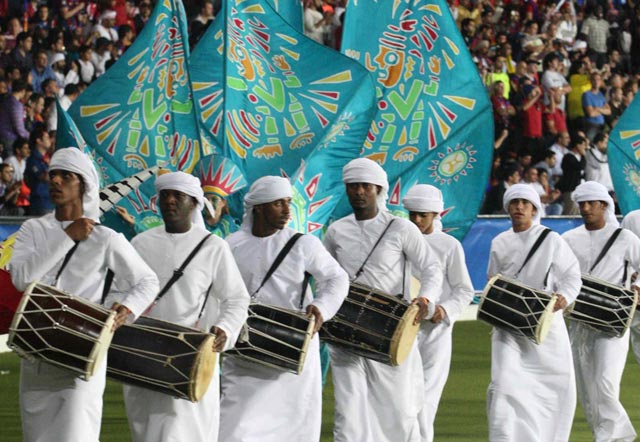 Football supporters during the Fifa club world cup final at Zayed Sports City in Abu Dhabi. Bremner says the surge in footfall is due to a canny and aggressive and marketing strategy and an increase in the capital’s population. Quite simply, more people required more activities, both community-based and of global importance, and the ZSC has routinely catered for their needs. “A huge demand” for paintball resulted in the activity, which involves teams and individuals attempting to tag each other with paint guns, being added to the ZSC’s prodigious portfolio recently. He would not, however, disclose plans for other activities, which are constantly being hatched by the ZSC in partnership with the Abu Dhabi Sports Council. How does the ZSC measure up against its UAE equivalent, the Dubai Sports City. 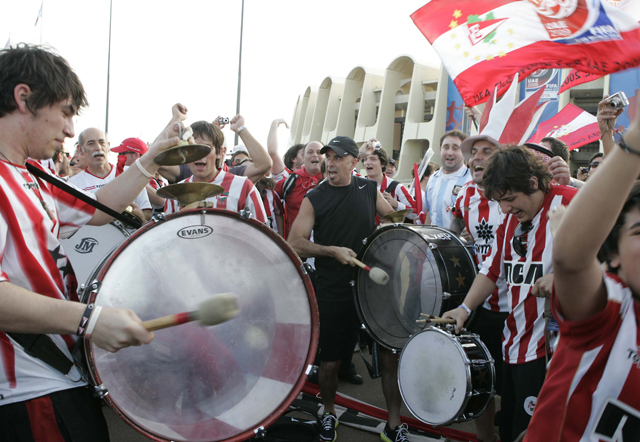 Unrivalled regionally, the ZSC also “stands up very well” against other similar venues worldwide, according to Bremner. He said: “I visited the UK Olympic Stadium and village several years ago when it was still under construction and the actual design and plan of that is identical to the original masterplan done by Shaikh Zayed 35 years ago. I’ve visited stadiums all over the world, from 100,000-seater ones to 40,000-seater ones. I actually think as a facility we stand up very well. “What you won’t find at a lot of facilities is the range of things we’ve got here. I know Singapore are building a venue like this and there are ones in the US similar to this. Venues like this don’t exist around the world. Leading boxers such as Britain’s Amir Khan have frequently expressed their desire to fight in the UAE, although a host of mooted mega bouts such as the recent ‘Fight of the Century’ between Floyd Mayweather and Manny Pacquiao have failed to materialise here. Could the ZSC host an event of such epic proportions? One of Shaikh Zayed’s goals for the venue was, as the ZSC mission statement says, to provide a platform to develop the country’s promising sporting talent. Has the venue delivered on this promise and unearthed potential Emirati sporting stars? Bremner and Gedeon cite figure skater Zahra Lari, whom they describe as “an icon for young Emiratis”, as a shining example that they have. Gedeon went on to pay tribute to the “phenomenal” ice hockey team, who are “always on the podium at the Asian Cup”. Bremner said: “I think the key is community interaction. That’s what Zayed Sports City is about: Getting kids when they’re young from a community perspective and actually starting to nurture them and train them. The numbers below indicate the relative growth of events, sports, visitors, partners and everything in between at Zayed Sports City since the iconic site underwent a change in management.